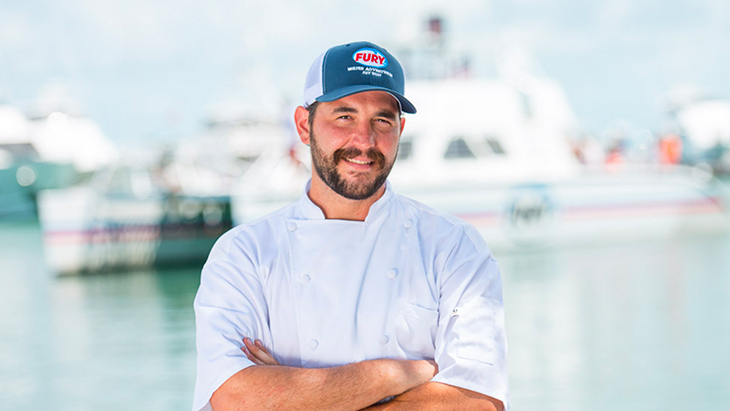 We are proud to offer a menu that is prepared fresh each day in Fisherman’s Cafe kitchen, which is just a few steps from Key West’s Historic Seaport by our very own culinary craftsman, Chef Rick. 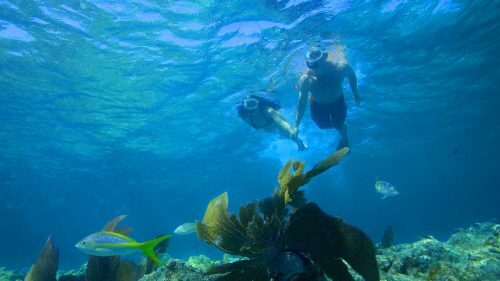 To ensure that guests experience the tastiest items, our sustainable menu features locally sourced ingredients, including hand-picked produce from Florida farms whenever possible. 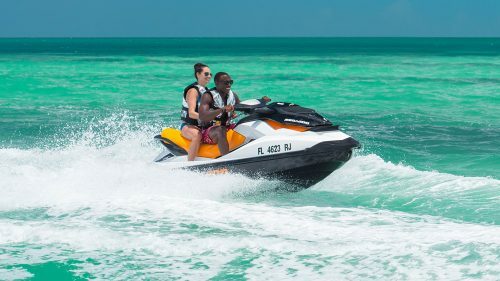 While some excursions include prepackaged items like yogurt, there is a wide assortment of healthy snacks and beverages available throughout your trip. 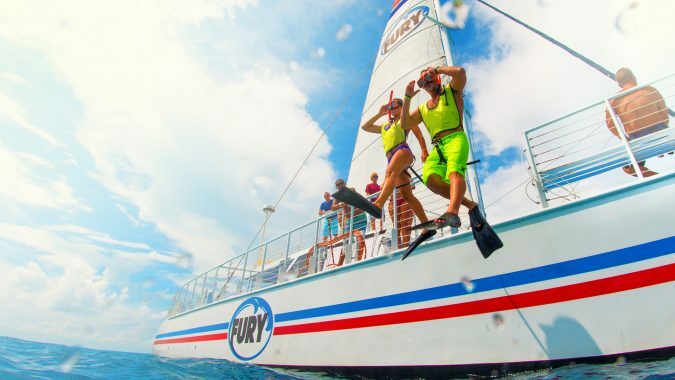 Get ready for the water adventure of a lifetime with Fury’s Ultimate Adventure! 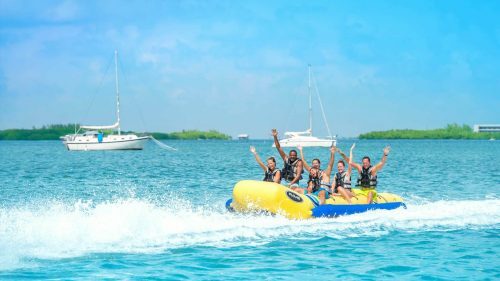 Reserved for the real water sports enthusiast, this action packed day includes reef snorkeling, parasailing, jet skiing & Fury’s very own state certified water park! 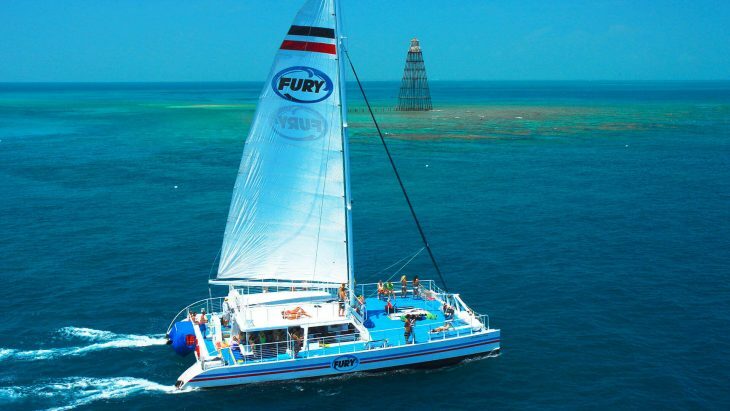 Fury’s Key West All Day Adventure checks in at 9:15am and departs at 10 am. 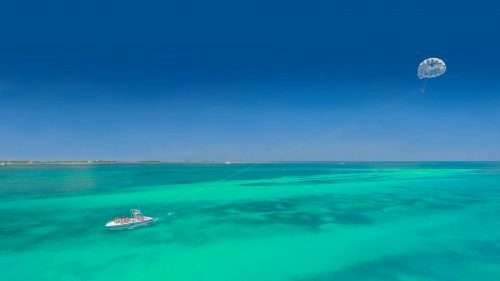 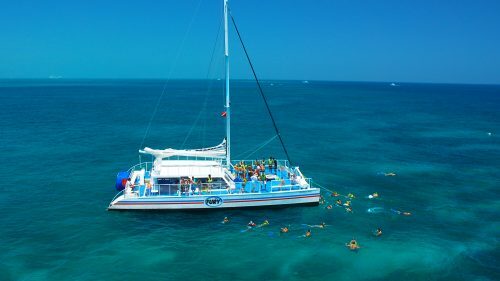 You will sail 7 miles out to the only living coral reef in North America on our beautiful 65’ sailing catamaran, while enjoying a delicious breakfast of egg and cheese sandwiches, fresh fruit, yogurt, homemade granola, assorted danishes and more. 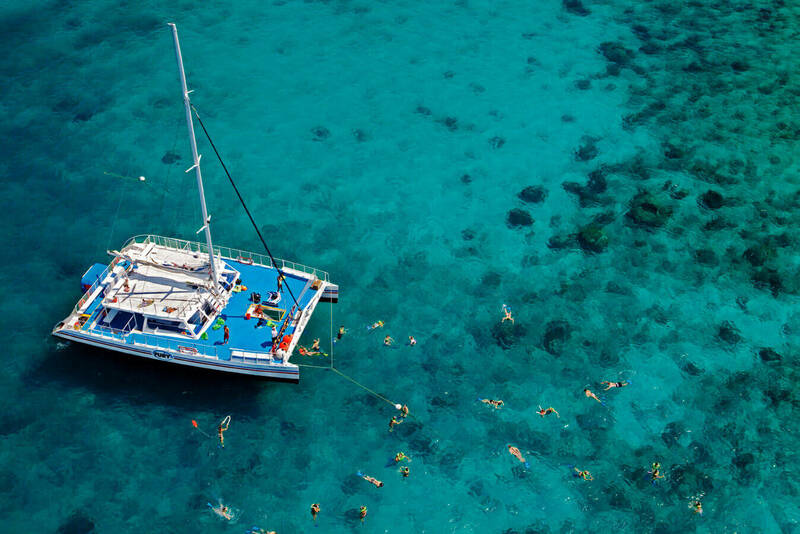 Sunbathe on the catamaran’s spacious deck and relax while we cruise the waters to the coral reef. 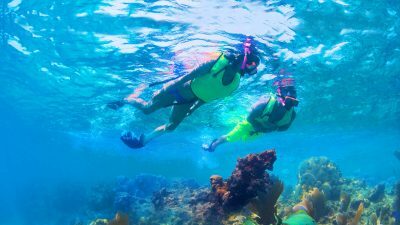 Once we arrive, you will snorkel for one hour and view up close angelfish, parrotfish, blue tangs and many more species that will amaze you. 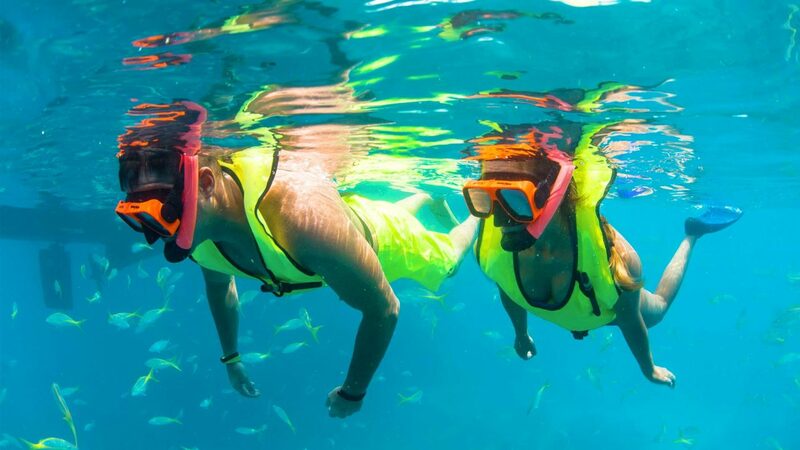 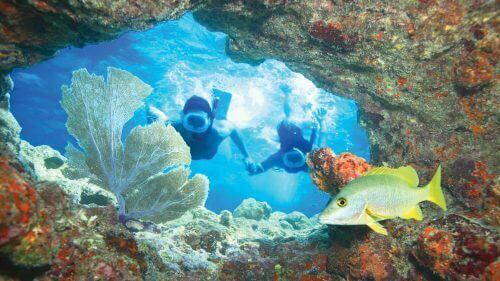 Our helpful and friendly crew provides snorkel equipment and free training. 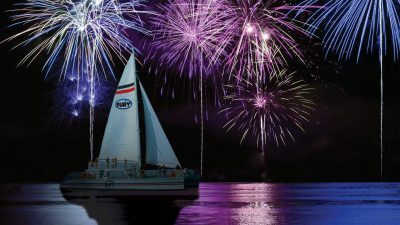 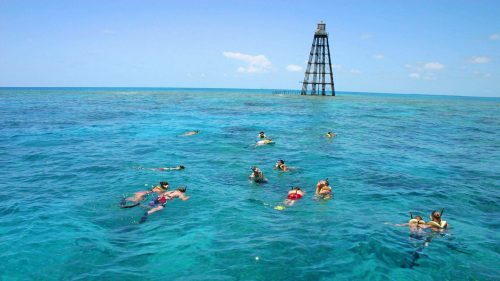 Continuing on the Key West Day Trip, you’ll take a 45-minute sail from the coral reef that is on the Atlantic side of Key West to the Gulf of Mexico and enjoy an all-you-can-eat picnic lunch buffet on the sail over (unlimited water & soda provided all day). 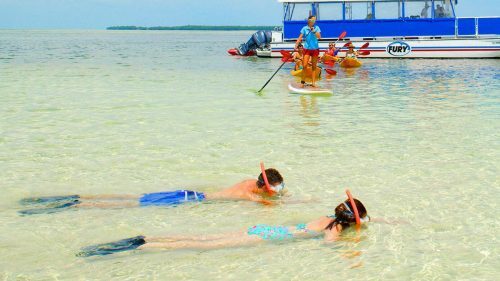 Dine on sandwiches, pasta salad, Key West coleslaw, fresh baked cookies and more. 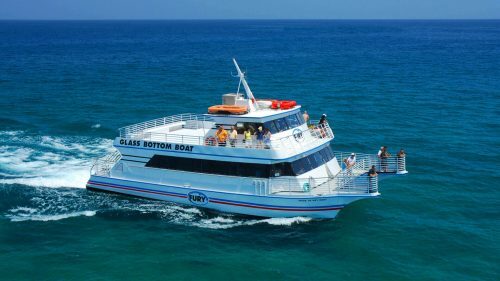 Upon arrival in the Gulf, we dock with our floating platform island. 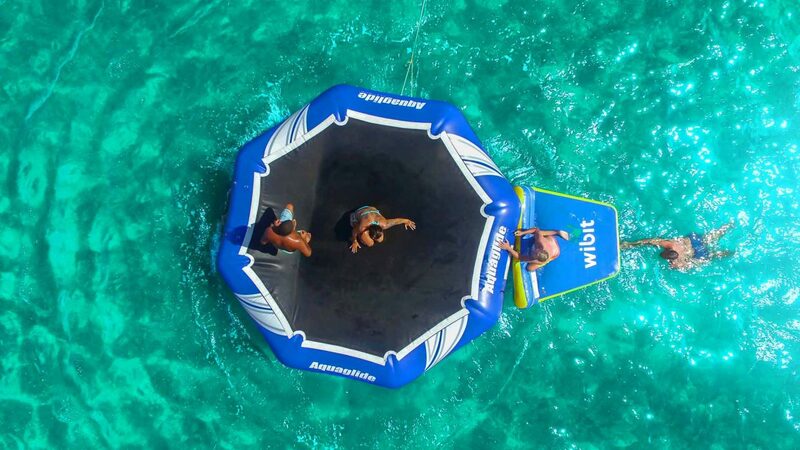 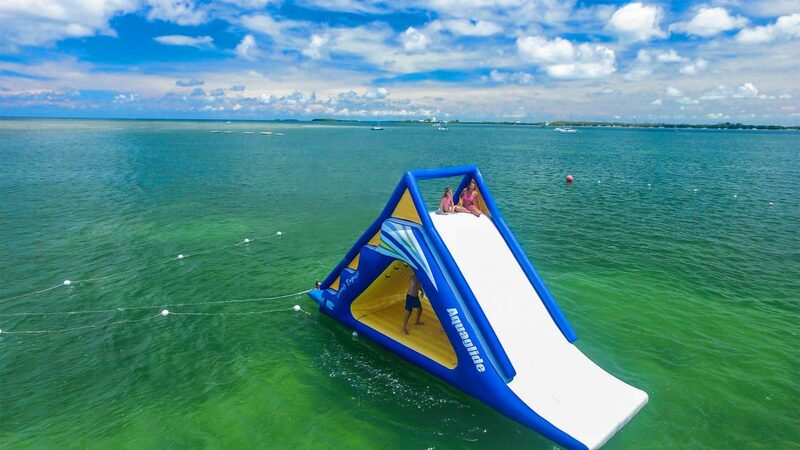 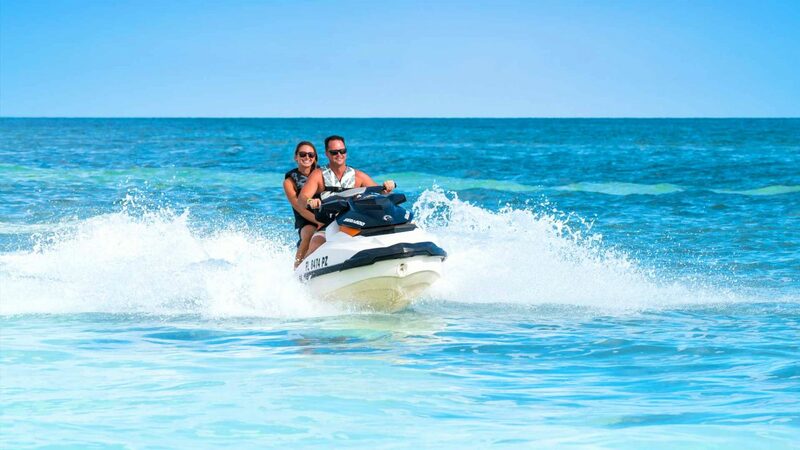 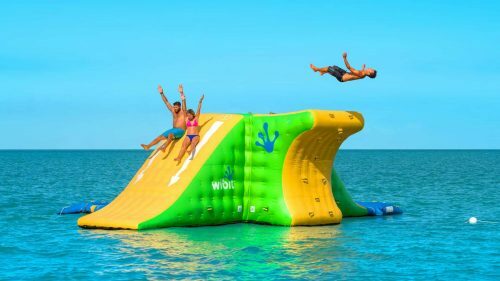 There, you will have an afternoon of fun Jet Skiing, Parasailing and playing on Fury’s state certified water park toys, including an Action Climbing Tower, Aqua Slide and Trampoline. When finished, cool down with complimentary beverages, Bud Light or Yuengling beer and Chablis, Blush & Burgundy Wine as we sail back to Key West with the story of the ultimate day on the water in Key West. 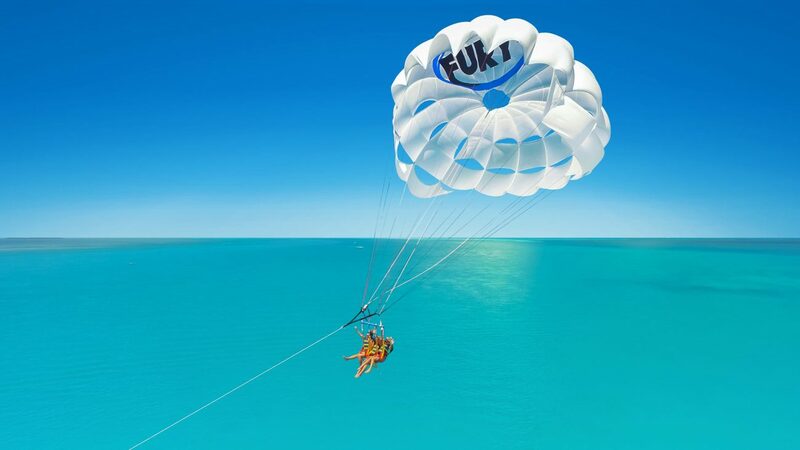 Fury is a water sports company you can trust! 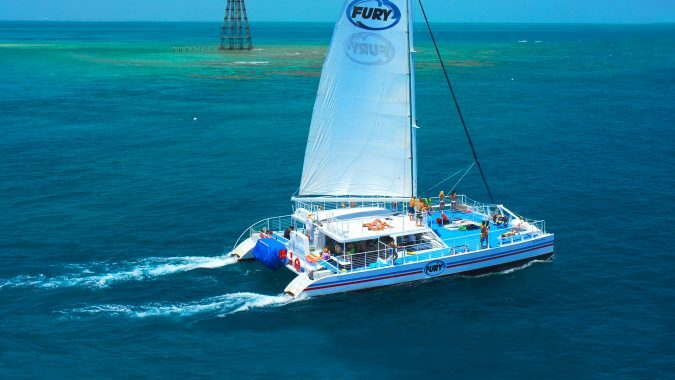 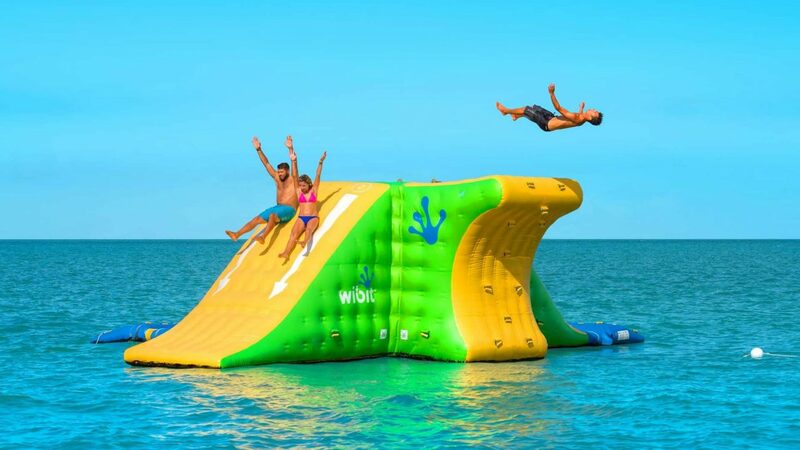 For almost three decades, visitors and locals alike have been choosing Fury Water Adventures as their number one choice for Key West Excursions. 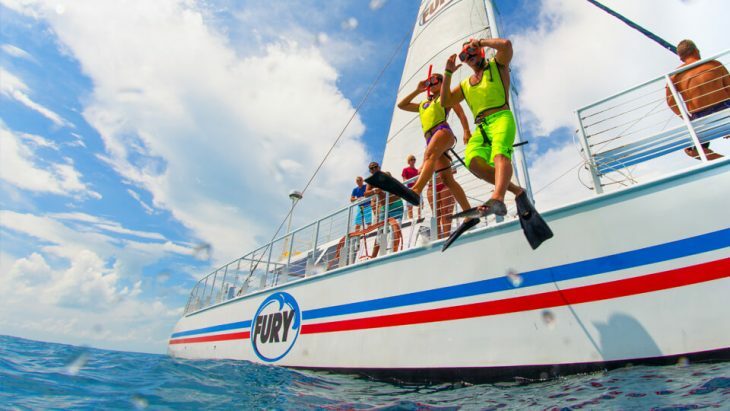 Fury’s expertly maintained state-of-the-art fleet of boats will get you out on the water and back again with the utmost safety. 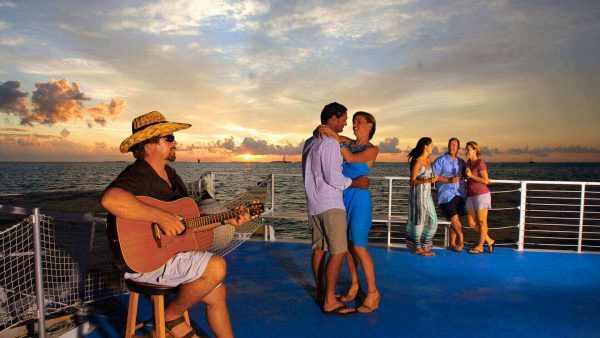 IF I DON'T DO ANY ACTIVITIES, CAN I STILL GO ON THE THIS TRIP? 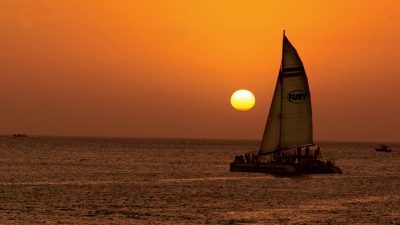 Egg & Cheese on Cuban Bread, Fresh Seasonal Fruit, Yogurt & Homemade Granola,, Croissants, Muffins, Assorted Danishes and Orange Juice is served. 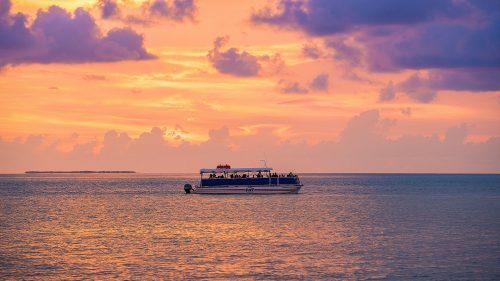 We serve Turkey & Cheddar Sandwiches, Ham & Swiss Sandwiches, Veggie Sandwiches, Fried Chicken, Spiral Pasta Salad, Key West Coleslaw and Fresh Baked Cookies for lunch. 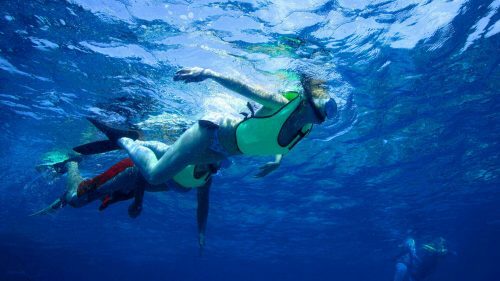 CAN I BRING MY PET ON THE TRIP WITH ME? 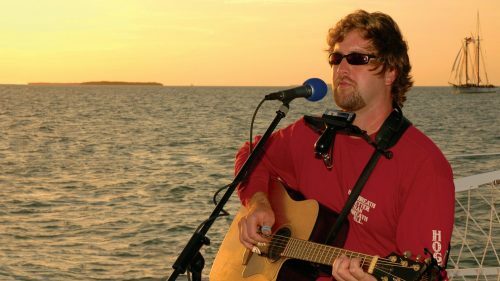 The guest requiring the service animal must be in possession of the animal at all times. 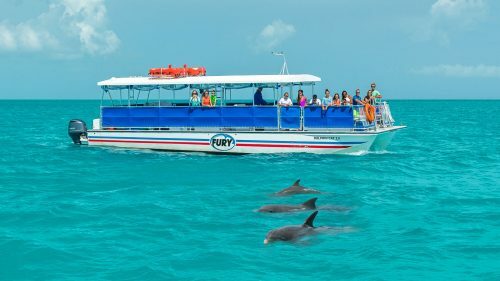 ​Due to the nature of Fury tours, guest and service animal may be required to remain on the boat for the entirety of the tour. 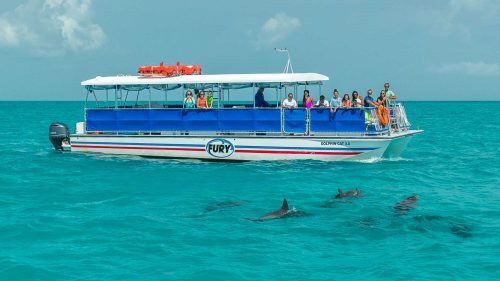 This is to ensure the guest’s safety as well as that of the service animal, Key West wildlife, other guests, captain and crew.